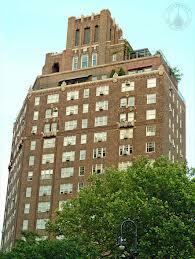 New Yorkers who purchase an apartment typically buy what is known as a cooperative (“Co-op”) or condominium (“Condo”). There are important legal distinctions between a cooperative and a condominium that are notable during the purchase process and after the closing of the transaction. This blog post addresses these distinctions. A cooperative is a corporation formed for the purposes of common ownership, where the New York State Attorney General has accepted the relevant Offering Plan for filing. An owner of a cooperative apartment owns a particular number of shares in the corporation and is also designated a proprietary lease whereby the shareholder may occupy a particular unit in the building. A condominium is also governed by an Offering Plan. However, a condominium is real property, wherein a unit owner obtains a Unit Deed identifying a particular unit to be occupied and a percentage of common interest (i.e. common areas of the building such as the lobby, hallways, roof, etc.) in the building that is owned. Generally, cooperative boards strictly govern all resident activities, starting with the purchase of an apartment. A detailed application is usually required to be submitted to the board along with all references and financial data requested by the cooperative board, prior to attending a personal interview and obtaining board approval to the transaction. Once approved, the parties in the transaction will attend the closing at the office of the transfer agent for the cooperative to obtain the stock certificate and proprietary lease evidencing ownership of the unit. A purchaser cannot acquire the apartment without the approval and participation of the cooperative board and its transfer agent. A purchaser of a condominium will have a different experience. In a condominium purchase, a waiver of first refusal is to be obtained from the board of managers of the condominium. According to most condominium offering plans, condominium boards have the right to purchase the unit being sold at the same price as the offer made by the purchaser. Since most boards choose not to exercise such option, they issue a waiver of first refusal so that the intended transaction can proceed. While some condominium buildings request personal and financial information as part of their processing of the waiver of first refusal request, the application and interview process is much less onerous than in a cooperative building. Once the waiver of first refusal is issued, it is delivered at a closing that does not take place at the transfer agent’s office. When representing cooperative and condominium purchasers, our firm will contact the managing agent for the building to request access to the minutes of the board meetings and a copy of the Offering Plan and Amendments thereto and review same. As such, we are in a position to advise our clients as to the quality of the building and any legal or practical concerns that they may have. In addition, we obtain and review a lien search for a cooperative or a title search for a condominium, to confirm ownership and that no adverse liens or other issues are present. There are legal differences between a loan obtained to finance the purchase of a cooperative as compared to a condominium. For instance, a loan on a cooperative is deemed a share loan. In this case, the lender will hold the original stock certificate and proprietary lease as collateral for so long as the loan is outstanding. A Uniform Commercial Code Financing Statement is also recorded in the county in which the cooperative is located to evidence the share loan for so long as it is outstanding. Since a condominium is real property conveyed by a deed, the loan in this event is an actual mortgage document, which is recorded with the county clerk in the county where the property is located. New York charges a mortgage tax for recording a mortgage, which is usually a substantial figure and one of the most expensive portions of the entire transaction. Once the transaction has concluded, the condominium owner will pay real estate taxes allocated to her specific unit, while a cooperative owner will “indirectly” pay real estate taxes as they are allocated by the managing agent of their building on a “per share” basis. For instance, if the cooperative owner has 100 of the 1,000 shares issued, he will pay one-tenth of the taxes levied to the entire building. The municipality will invoice the cooperative, which will invoice the unit owner for one-tenth of the taxes. Our firm has conducted numerous cooperative and condominium purchase and sale transactions and welcomes your inquiries with respect to your intended transactions.